Callender Howorth is an award-winning London interior designer, specialising in interior design, architecture, and renovation. Please have a look at our portfolio of completed interior design projects in London or contact Mark or any of the team, who specialise in London interior design for houses, apartments, penthouses, basements, lofts and commercial spaces. We are happy to come to you to discuss requirements and let you know our interior designer fees. 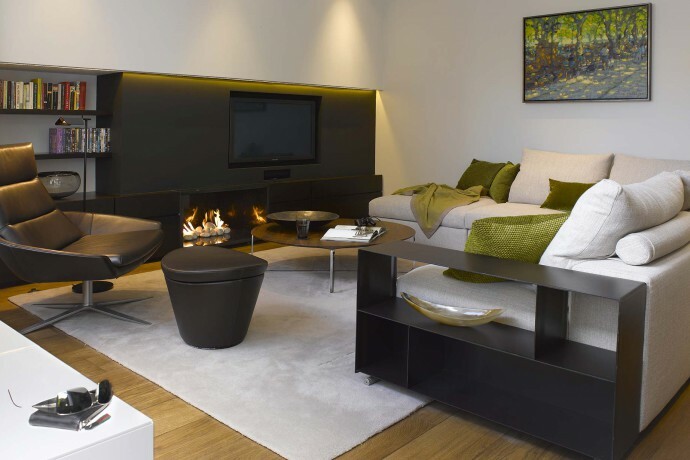 Our London interior design company specialises in projects in the areas of Mayfair, Chelsea, Knightsbridge, Kensington, Marylebone, Holland Park, Primrose Hill, Hampstead and St. John’s Wood. As a leading London interior designer, Callender Howorth has extensive experience of interior design in and around London and is fortunate to have worked on some of the city’s most stunning properties. 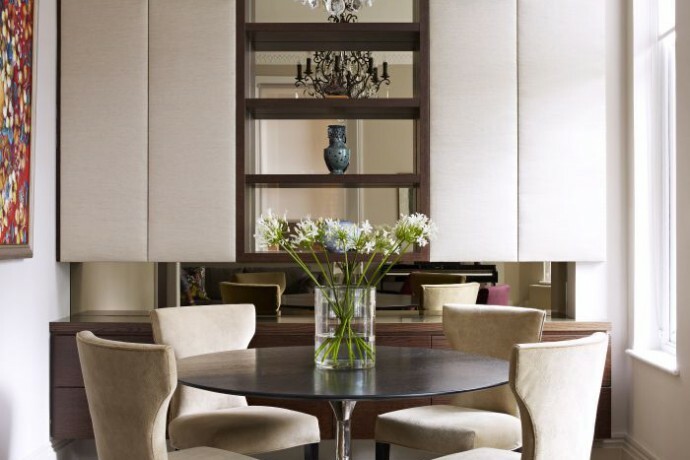 One of our most high-profile projects was a large-scale Kensington House in the exclusive Boltons. We transformed a house that had not been updated for 30 years into an airy and aesthetically pleasing 5-storey family home. 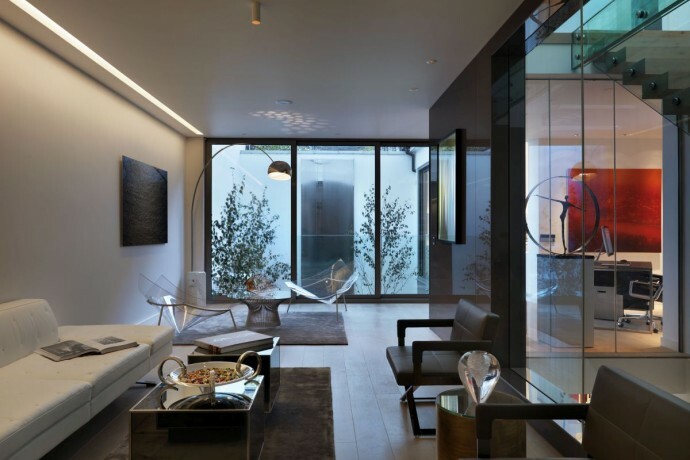 We also transformed a mews house in Mayfair into an enviable contemporary residence. 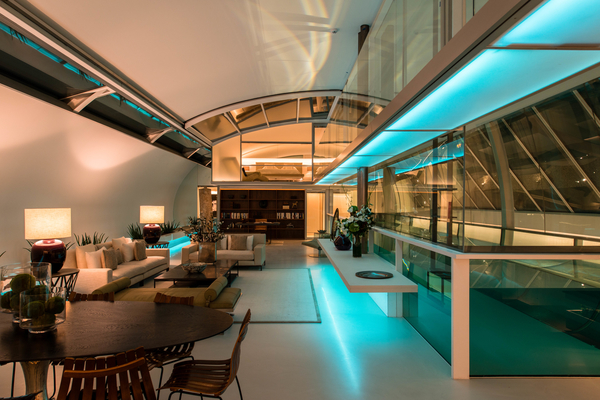 We demonstrated our attention to detail in creating the ultra modern and chic party pad our clients wanted. Nearby, we completed a similar project close to Regents Park, incorporating an innovative pool in an unusual space to create a truly spectacular property. As well as being able to dive from the master bedroom, on the first floor, into the swimming pool below, custom gull wing windows open automatically to reveal the sky and stars. We also brought a rather bland and uninspiring Knightsbridge penthouse back to life by installing contemporary fittings and we updated an Islington townhouse with our London interior design company know-how. Our London interior design company has been sought out for numerous high-end renovations in prestigious areas. Famous for its architectural beauty, artistic innovation and stunning green space, each century has left an immense design footprint on London. These can be seen in the iconic landmarks that dot the skyline. From Frank Gehry’s muscular power station at Battersea, to Norman Foster’s beautiful dome on the British museum in Camden, and George Gilbert Scott’s much revered St Pancras Station in Euston and the legendary St Paul’s Cathedral, no other city in the world can boast as many design masterpieces. London interior design companies have drawn inspiration from the incomparable London skyline with its easily recognisable modern skyscrapers. The Shard and Gherkin follow the Thames and lead us to the London Eye and more classical buildings of the West End and Westminster. It’s truly an architectural gem of a city. Each borough is essentially its own town with its own culture, aesthetic pleasures and places of interest. Perhaps the cultural capital is Kensington with both the famed Natural History museum and the highly influential Victoria & Albert museum. However, Lambeth with the Royal Festival Hall, Tate Modern and Shakespeare’s Globe, may disagree. Westminster is the political heart of the city and visitors flock to see the Houses of Parliament, Big Ben, Buckingham Palace and Westminster Abbey. Somerset House has a rich history and strong cultural programme of events year-round. From the historic attractions at the eastern edge of the city, such as the Tower of London and Museum of London to the endless entertainment options of the West End, there is something to suit all tastes. 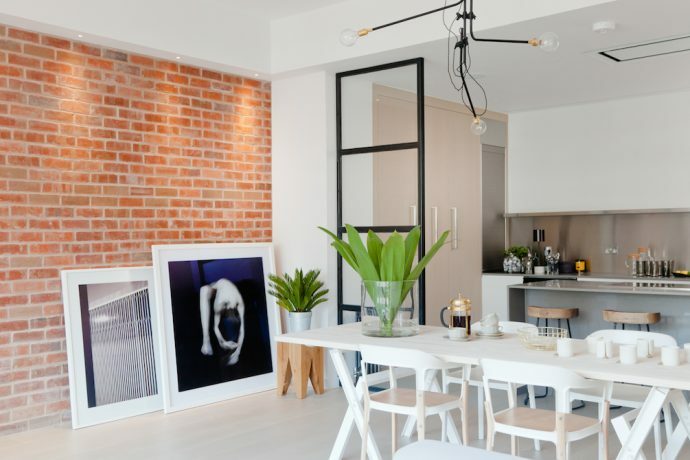 London interior design companies are often called upon to create or renovate the interiors of buildings as diverse as the Old Globe Theatre to Battersea Power Station. For luxury shopping, Knightsbridge is one of Europe’s greatest destinations. Both Harrods and Harvey Nichols are located in this small but prestigious area, which is full of high-end brands. Piccadilly is a gateway to the West End and has numerous options for luxury shopping in Mayfair, St.James’s and on Regent’s Street with upscale stores such as Fortnum & Mason and Liberty within the vicinity. Many designers choose to base their flagship stores on Bond Street where commission their favourite London interior design company to create an interior as beautiful as the items on display. However, the historic Kings Road and legendary Mayfair more than hold their own. The range of fine dining options are unrivalled with prestigious restaurants such as the three-Michelin Restaurant Gordon Ramsay and the innovative Ledbury in West London competing on quality. The Ivy Restaurant in London’s West End attracts a celebrity crowd and exemplifies the tradition of fine dining in London, with stain glass windows beautifully bathing the rich mahogany and chandeliers of the elegant room in eye-catching lights of all colours. Mayfair’s trendy restaurant, Sketch, has an interior that is truly something to behold. Transformed by Turner Prize nominated artist David Shrigley, the room is regularly altered by a different artist so there is always a reason to return. Not to be outdone is Tramshed in hip and happening Shoreditch. With its ultra cool interior design and artworks from Damien Hirst, Jake and Dinos Chapman and Tim Flach, this is one eatery that is not to be missed. Vegetarians and vegans are catered for in stylish restaurants such as Tibits, while meat-eaters will love the carnivorous delights on the menu at Hawksmoor Steakhouse. International restaurants such as the North African Moro and Argentinian Gaucho Restaurant impress discerning palates. Indian food is still a British favourite and the gourmet selection served at the Cinnamon Club, Amaya and Benares has a number of devotees. Japanese food is also well represented in the classy, modern settings of Zuma, Nobu and Roka in London’s West End, with delicious Cantonese cuisine being served at Hakkasan. London is extremely family friendly, with numerous parks and museums. Not to mention the revered London Zoo, set in leafy Regent’s Park, which is the world’s oldest scientific zoo. The London Eye is a fantastic attraction for all ages to take in the landmarks of the capital from above, and it’s a short enough ride that kids won’t get bored. Children will also enjoy Trafalgar Square and Nelson’s Column’s famous lions for the photo opportunities they pose. The city also has many exceptional educational institutions from pre-prep right up to university levels, which operate at the highest standards. Please contact us if you would like a consultation from an experienced London interior designer.